Remove the hassle of exploring enormous Manila on this all-inclusive day tour. 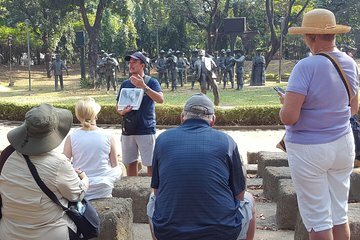 The tour includes many must-see sights—such as Rizal Park and Manila Cathedral—and a walking tour of the old walled city, Intramuros. Manila is full of history, and your expert guide will bring it to life. Plus, enjoy a special lunch at a singing restaurant, and an evening dance show. An easy way to experience Manila.